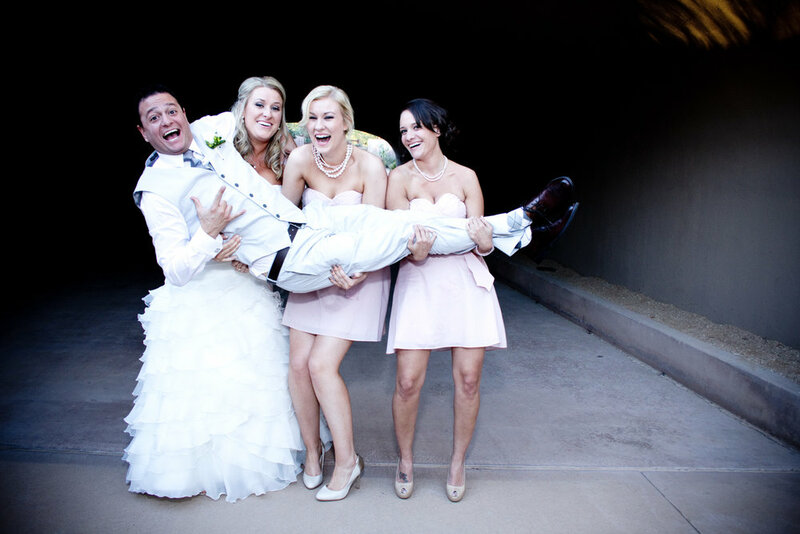 by the way, you are totally allowed to have fun at your wedding--it's expected! Your wedding day is definitely a time to honor your love and commitment for each other through thoughtful reflection and earnest vows. But don't forget to also celebrate the love that brought you two together! It's okay to share your exquisite joy through laughter, fun, and shenanigans!